MIAMI – April 8, 2019 – At a time when studies show that 25 percent of all sports related injuries are to the hand or wrist, noted orthopedic hand surgeon Elizabeth Anne Ouellette, M.D., M.B.A., has joined Miami Orthopedics & Sports Medicine Institute and Baptist Health Medical Group as Chief of Hand Surgery, bringing 30 years of experience treating athletes and people of all ages not only from the Miami area but nationally and internationally. Dr. Ouellette is a highly recognized and academically accomplished physician-surgeon. As a board certified orthopedic surgeon who performs hand surgeries of all complexities, she specializes in the treatment of wrist fracture, ligament tear, nerve injury, joint instability and small joint replacement. “Dr. Elizabeth Anne Ouellette’s arrival with her distinguished talents as a hand surgeon ideally rounds out the services and specialties performed by our expert team of orthopedic and sports medicine physicians,” said John Uribe, M.D., Chief Medical Executive of Miami Orthopedics & Sports Medicine Institute. “We are incredibly fortunate to have Dr. Ouellette bring her preeminent expertise as a hand surgeon, innovator and physician leader to Baptist Health,” said Jack A. Ziffer, M.D., Ph.D, Executive Vice President and Chief Clinical Officer for the health system. Dr. Ouellette is widely published in peer-review medical journals, an invited speaker at national and international academic symposia and an active member of numerous professional organizations. Her clinical research areas include wrist instability biomechanics, nerve injury repair, skin coverage and psychological intervention for upper extremity trauma patients. She is affiliated with Baptist Hospital of Miami, Doctors Hospital, Homestead Hospital, South Miami Hospital and West Kendall Baptist Hospital. Her primary office is located at 3150 SW 38th Ave., Suite 600, in Coral Gables, Fla. In addition to her surgical skills, Dr. Ouellette teaches and mentors medical students, residents and fellows in academic and clinical leadership roles. At present, she is chief of hand surgery and clinical professor at the Department of Orthopedics at Florida International University Herbert Wertheim College of Medicine. 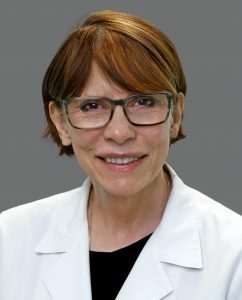 She is professor emeritus at the Department of Orthopaedics and Rehabilitation at the University of Miami School of Medicine and former director of upper extremity surgery at Mount Sinai Medical Center. A graduate of the University of Texas Medical School in San Antonio, Dr. Ouellette completed a residency in orthopedics at the University of Washington School of Medicine in Seattle and a fellowship in orthopedic hand surgery at Jackson Memorial Hospital, University of Miami Miller School of Medicine. She holds a master’s degree in business administration, earned at the University of Miami School of Business.